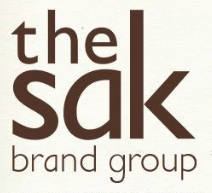 For nearly three decades, The Sak Brand Group has provided top-quality designs to consumers worldwide. Inspired by their travels, two childhood friends, Mark Talucci and Todd Elliott began by importing their “found treasures” from overseas to San Francisco. The decision to focus on handbags was conceived when the pair fashioned a handbag out of an ordinary Balinese sleeping mat. The Sak Brand quickly grew to be a huge sensation and THE iconic handbag of the 1990’s. As with many companies with a long history, The Sak began its operations using manual processes for its administrative functions. This included their accounting procedures, both in the way they paid their own bills and how they handled invoicing and client payments. When the company moved its headquarters from San Francisco to New York, its leadership saw it as the perfect time to update its accounts payable (AP) processes. Recently, David Luftman, corporate controller, and Agnes Palmeri, senior accountant, described the switch to automated AP processes. While relocating to New York, the leadership team knew they needed an experienced accountant to help make the switch to automated processes. Palmeri, who had experience with AP automation systems, was the perfect fit for the team. She joined Luftman, who also had previous experience with accounting software. However, being new to The Sak was a challenge for the duo, who had to learn the old processes in order to find the best way to transition to a new system. The first step for Luftman and Palmeri was to find the perfect system to meet The Sak’s unique AP environment. After conducting thorough research, they settled on Centreviews, based on recommendations from others and its easy integration with their existing software. Although Centreviews is relatively new for the company, Palmeri and Luftman have both noticed an improvement in productivity, particularly when it comes to emails. Instead of multiple emails on a particular invoice, everything can be handled within the system. Another benefit of AP automation is that it reduces the number of employees necessary to handle daily tasks. However, in many instances, businesses find they have no need to lay off employees or eliminate positions. This has been the case with The Sak, which has found that employees can now spend more time on tasks that benefit the company rather than pushing papers. One perk of automation that is an employee favorite, though, is that it allows them to work remotely, rather than coming into the office every day. As The Sak Brand Group looks forward to its next three decades, it does so with excitement, knowing that it has the best tools for the job. With the right research, Luftman and Palmeri were able to help their leadership team find the perfect tool to fit their business’s needs.